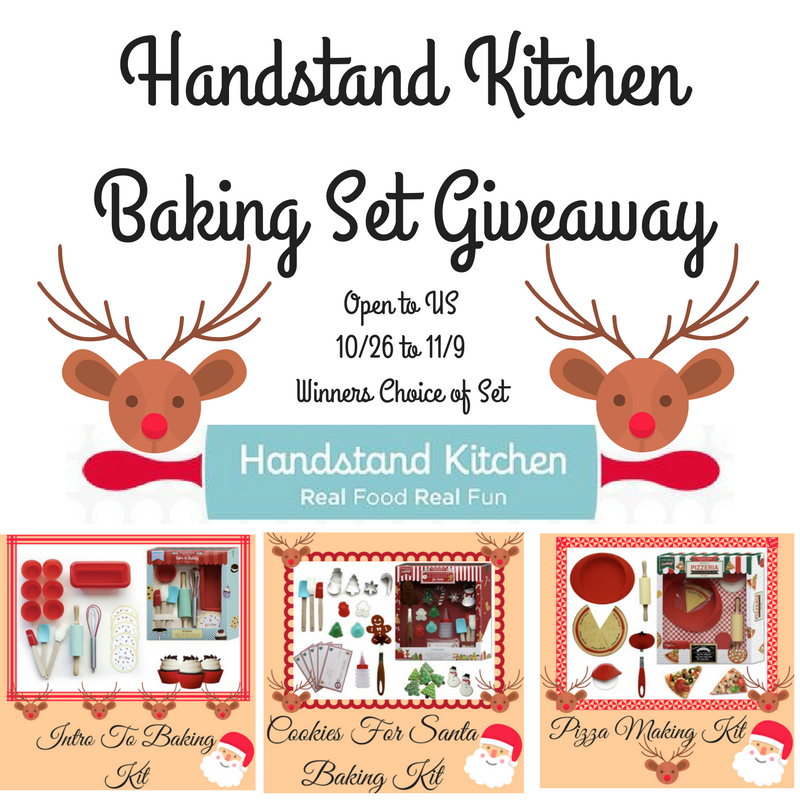 Welcome to the Handstand Baking Set Giveaway!! A special shout out to me Co-Hosts Deliciously Savvy, Michigan Saving and More, Everyday Gizmos Sweeps & Views, IMHO Views, Reviews, & Giveaways and The Worthier Part. I'd love to win the cookies for santa kit.